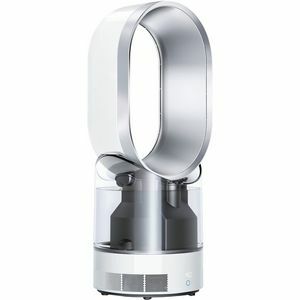 Like its other products, Dyson's humidifiers feature revolutionary innovations that set them apart from the competition. The Dyson AM10 humidifier utilizes Ultraviolet Cleanse™ technology to purify the water in its pail before projecting mist throughout the room. On top of that, the AM10 is the only humidifier to be awarded the Quiet Mark for its whisper-quiet operation. For more information or for assistance placing an order, please call us at 1-866-972-8227.